Sunday 1 to 4 p.m.
Sunday–Monday 1 to 4 p.m. Admission fees will be suspended while the mansion undergoes foundation work. Beginning August 13, 2018, the Pawnee Bill mansion is closed to the public as work to stabilize the foundation begins. Plans to work on the mansion’s foundation were underway when a 5.8 magnitude earthquake caused further damage on September 3, 2016. Staff will pack items in the mansion to protect them while the foundation work is completed. The big barn, blacksmith shop, museum, and picnic pavilion will also undergo repairs. We hope to reopen the mansion in April of 2019. The Pawnee Bill Ranch was once the showplace of the world-renowned Wild West Show entertainer Gordon W. “Pawnee Bill” Lillie. Visitors can tour Pawnee Bill and his wife May’s fourteen-room mansion, fully furnished with their original belongings. Their dream home, completed in 1910, is filled with Lillie family memorabilia, photographs, original artwork, and more. The ranch property also houses a museum with exhibits related to Pawnee Bill, Wild West Shows, and the Pawnee tribe. The 500-acre grounds include the original ranch blacksmith shop, a 1903 log cabin, a large barn built in 1926, and an Indian Flower Shrine—all available to the public. A herd of bison, longhorn, and several draft horses call the Pawnee Bill Ranch home and can often be found grazing in the drive-through exhibit pasture. The ranch is also a day-use facility and several outdoor amenities can be reserved for private functions. The ranch has covered picnic shelters, tipi-covered picnic tables, fishing ponds, a playground, and a meeting room. The Big Barn, shelter, meeting rooms, porches, and lawns can be rented for weddings, reunions, meetings, and more. The Pawnee Bill Ranch also proudly recreates Pawnee Bill’s Original Wild West Show in June every year. Visit The Encyclopedia of Oklahoma History and Culture to find out more about Pawnee Bill. April 20, 10 a.m.–12:30 p.m.
Our staff has created educational resources to enhance your visit. Use the links below to download the PDF documents. To learn more about our programs and tours, visit the programs page. The Friends of the Pawnee Bill Ranch Association (PRBA) is a 501(c)3 organization dedicated to supporting the Pawnee Bill Ranch. The Ranch Association helps support the Wild West Show, ranch maintenance, collections acquisition and care, and much more. We are in search of new members! If you are interested in the ranch or the Old West, print and complete the forms below and send it to us along with the membership fee. Thank you for your support and help! With your membership, you will receive a copy of the PBRA newsletter plus a 15 percent discount in the museum store. 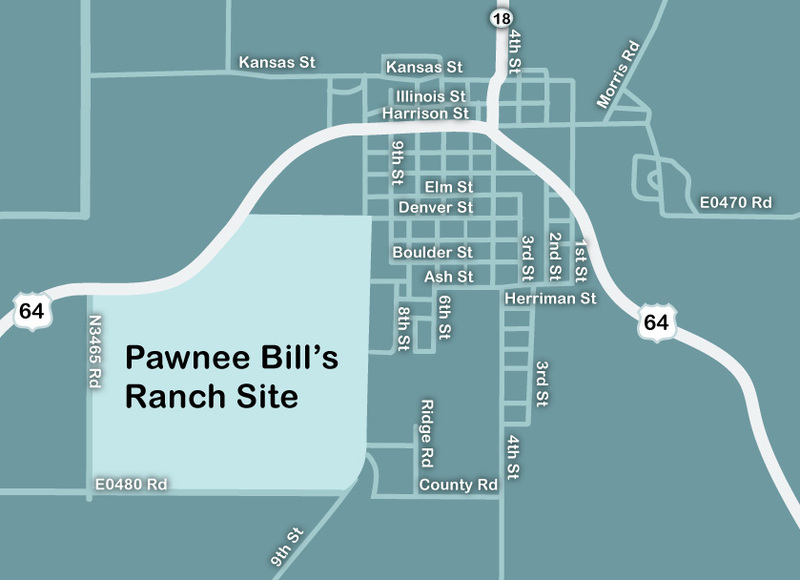 The Pawnee Bill Ranch and Museum is on Blue Hawk Peak, land which Pawnee Bill purchased from his Pawnee friend Blue Hawk. Blue Hawk Peak is located one-half mile west of Pawnee on US 64. 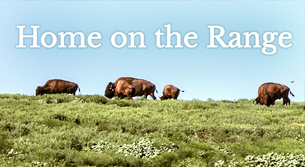 Issue three of Crossroads takes us to Pawnee Bill Ranch and Museum to talk about their bison herd and the role of bison in Oklahoma history.